When can I empty my head? Although Nietzsche affirms almost triumphantly that “God is dead” and “remains dead”, he acknowledges that “his shadow still looms,” which brings me back to my aforementioned post. Even though my “God is dead,” to use Nietzsche’s metaphor, or, if I to use my own metaphor, He abandoned me in this world, I still feel the need for Him. His shadow continues somehow to loom over me, and I want some comfort for that. The torment caused by these feelings of abandonment and confusion over God has turned into a “nightmare” that persistently haunts one’s mind with this question, which Black Sabbath persistently ask in their song: Is God really Dead? The death of God thesis became so widely accepted in many parts of the Western world to the extent that it invaded Christian theology itself giving birth in the 1960’s to a theological movement that bore the rather paradoxical name: “death of God” theology! The biggest demonstration of this theological movement came through a cover story for the Time magazine in April 1966. 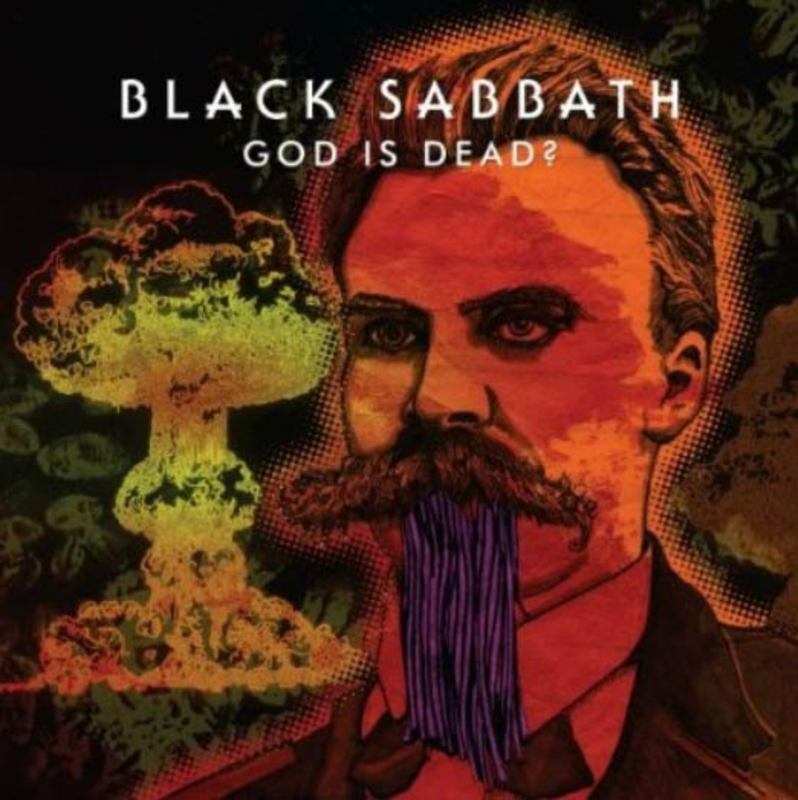 The cover consisted of the phrase “Is God Dead?” written in large red letters over an all-black background (something which, again, brings heavy metal into mind). The story looked at the crisis facing Christian theology at the time, which revolves around the question of how to make God relevant to an increasingly secularized society. Some theologians apparently found that the only solution to this crisis is to kill God off theology! The death of God theology coincided with the emergence of the secularization thesis in the sociology of religion, which stated emphatically that religion is progressively losing its significance for human societies. The two theses appear to be separate from each other: the first one is a theological proposition, whereas the latter is the outcome of a presumably scientific, disinterested analysis of modern societies. Contemporary critics of the secularization thesis as well as traditional theologians, however, would rather see the two theses as two sides of the same coin. In the past three decades a counter-movement to secularization and death of God theses has spread throughout the world. Religion has reasserted itself vehemently in virtually all those areas from which it had previously been marginalized. This can be seen very easily in world politics, social and cultural “wars,” and even in science—the stronghold of secularism and the murderer of God, as Nietzsche once thought. 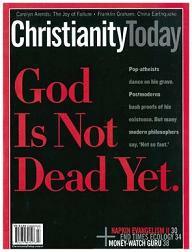 Instead of declaring the ultimate death of God and the triumph of secularism, intellectuals and social scientists are hanging the obituaries of Nietzsche’s thought, death of God theology (see below the cover of a 2008 issue of Christianity Today), and the secularization thesis. In many cases the very people who previously advocated these theses are now recanting them. Interestingly too, I have a poster hanging on the wall right opposite to me when I sit down at my desk in my office. 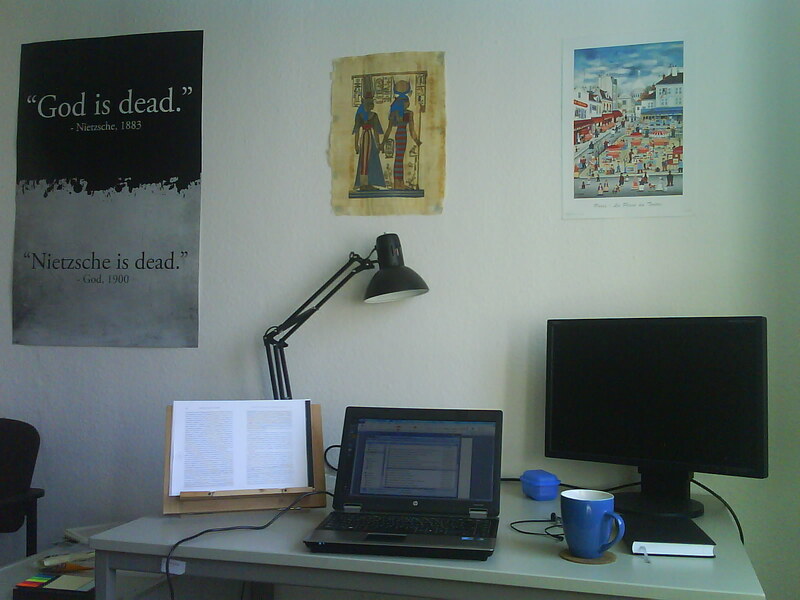 The poster humorously expresses this reversal of paradigm by displaying two quotations: First, “God is Dead” (Nietzsche, 1883); and then “Nietzsche is Dead” (God, 1900). I do not know what exactly to make of this liberal amalgamation of Black Sabbath, Nietzsche and me. I think there is a thread that runs between us three, but I cannot at the moment clearly define it or express it and I may actually never be able to do so. It needs further reading of Nietzsche’s and anti-Nietzsche’s rhetoric and more contemplation on my part about religion, which is anyway my job as a PhD student in religious studies. Until then, heavy metal music, particularly Black Sabbath’s (the foremost influential band of the genre) will probably remain my only solace. Therefore I conclude with these lines from God is Dead? This entry was posted in Religion and tagged Black Sabbath, death of god theology, God is Dead, heavy metal, Nietzsche, religion, secularization thesis. It is a good article… thanks for posting it. It illuminaes many aspects of Black Sabbath’s ambiguous view of God and religion; something in which I’m obviously very interested. I also liked the Dresden Dolls’ cover of War Pigs. The mesmeric melodic line at the end of the song set up against the wild drumming has made the hair on the back of my neck stand up like in the original song. It’s one of the best songs ever written.